The partial collapse Monday of an archaeological tunnel near the Siloam Pool has closed the underground tourist route opened earlier this year following a segment of a stepped, Herodian-period street. Despite the tunnel’s heavy framing (see photo), it is one of the side-walls that has reportedly collapsed. More importantly, the mishap endangers structures located nearby and overhead, including the village mosque and a kindergarten which, according to reports, have likewise been ordered closed. The incident simply fuels tensions in this already conflicted neighborhood of Israeli-occupied East Jerusalem, where Palestinian residents live side-by-side with Jewish settlers. The settler organization, Elad, not only funds much of the archaeological work but exercises more or less total control over the City of David “national park”, of which the tunnel system is a part. I reported on the opening of the tunnel segment on this web-log a few months ago. The story of the present collapse was reported in Wednesday’s Haaretz newspaper. Monday’s cave-in, no doubt triggered by heavy winter rains, falls right in line with longstanding complaints from Silwan’s Arab-Palestinian residents about other collapses and cracks appearing in houses adjacent to the excavation work. Much has been written on these and related issues over the past months here and here and elsewhere. 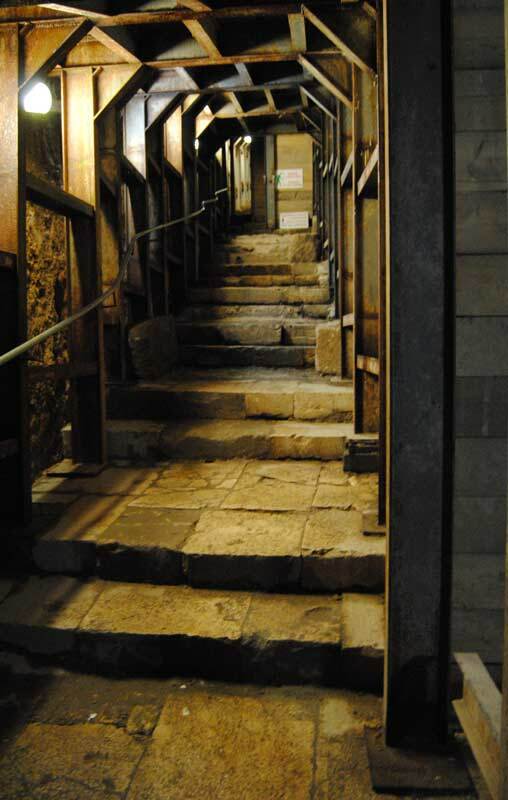 This entry was posted in City of David, Israel-Palestine Scene, Issues in Archaeology, JERUSALEM and tagged City of David, Jerusalem, Politics & Archaeology, Siloam Pool, Silwan. Bookmark the permalink. DANG!!! This was one of the key reasons I’m coming in Feburary! I’ll bring a shovel.